While in the last few months I could get away with not moisturizing my body daily, neglecting this task at this point in time means dealing with a ridiculous amount of skin shedding. To prevent this from happening, I've been exfoliating a lot more and loading up on heavy duty lotions and oils. 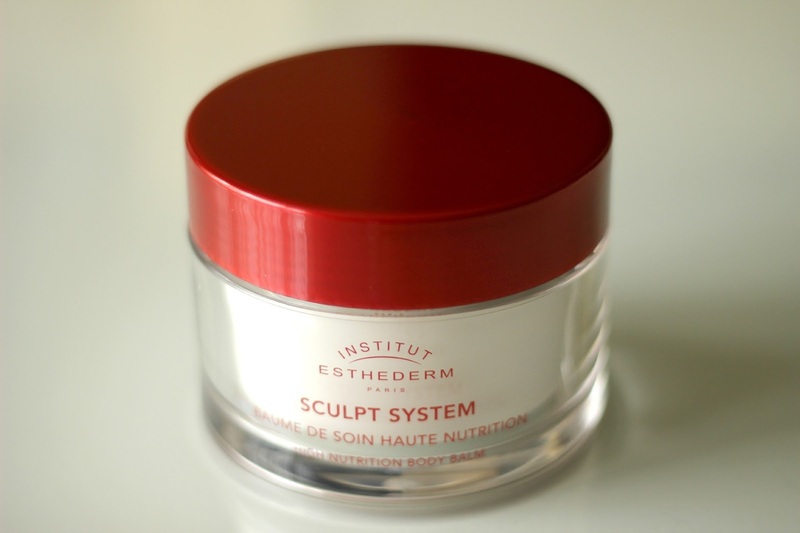 I also just recently started incorporating the Institut Esthederm Sculpt System High Nutrition Body Balm* into my after shower routine. After just a couple of uses, my skin is looking luminous and feeling silky smooth. Yes you read that right - my skin actually glows after layering this product on. How you ask? Well, when I first opened this luxurious French balm I did not realize it contains tiny specks of gold shimmer - they are undetectable in the jar and very subtle on the skin. The first time I applied it, I had to do a double take because I was not expecting my skin to be so beautifully illuminated! Now that I think of it, this would be lovely to apply in the summertime too. Moving on to texture: described as a royal jelly, this stuff is like a mix between whipped cream and a lotion, it actually feels very fluffy yet is still quite thick (bizarre I know). I've never tried anything like it but I really like how it feels on the skin. It has a very pleasant scent and feels cooling on the skin. I cannot say this balm has made a difference in terms of sculpting or firming since I am in my early twenties but it has done wonders for treating extremely dry areas such as my elbows, upper arms and legs. The price tag on this 200 ml tub is quite steep at C$69 - not something I would purchase right after I run out. 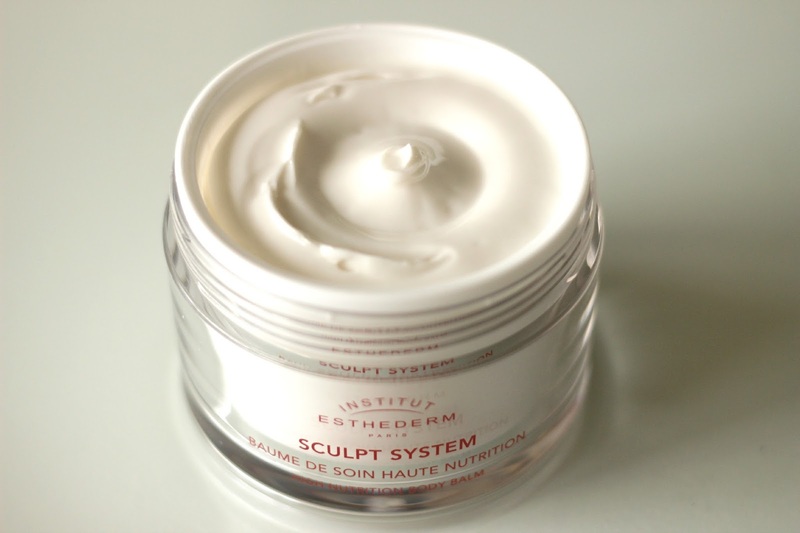 However, as a treat for yourself once in a while or for a loved one, the Institut Esthederm Scult System High Nutrition Body Balm does make a lovely addition to one's skincare routine. 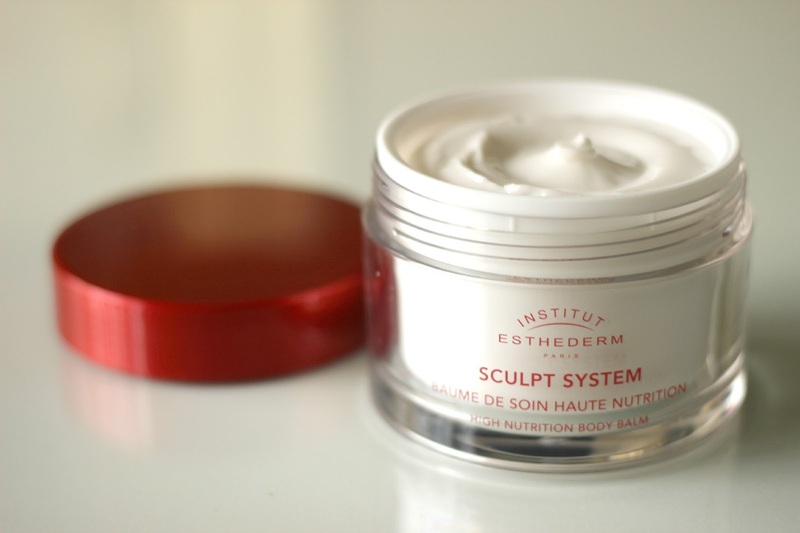 Institut Esthederm can be purchased at Ogilvy, Scarlet & Julia and select spas and beauty centers. 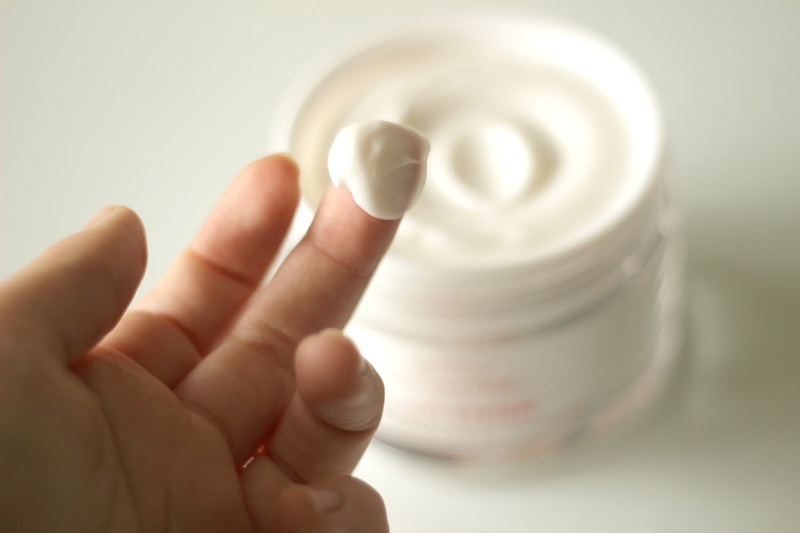 What has your experience been with body balms? Would you give this one a shot? Interesting product! Thank you for the review!